A modern interpretation in painted recycled steel. The weld marks and flaws are part of the fun. 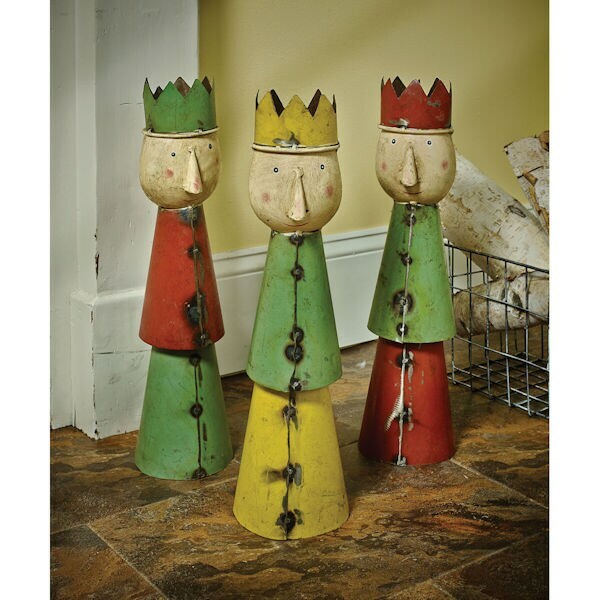 5" diameter, 19" high, they manage to be both kingly and friendly, with their open expressions, pink cheeks and gentle smiles. Set of 3. No gift box.